This is the second of two posts focusing on the a more 'traditional' style of magical item creation and rules. By traditional, I mean that it follows theme laid down by many western and eastern legends about magical objects. In these legends it was the smith and the material that made an item magic, rather than a spell-casting murder-hobo. These rules can be integrated into any standard AD&D/OSR game, but may work best in a low-magic setting. This second post will focus on magical materials not normally found in standard fantasy fiction as well as RPG's, each material lists the effects it creates when crafted into one of the archetypal item forms. As a form of review for those who saw my earlier post, or for the edification of those who did not, I have included the basic functionality of archetypal magical item forms. I have also added the minimum amount of a substance needed to create each item type in its entry and the basic level of skill needed to create such an item. 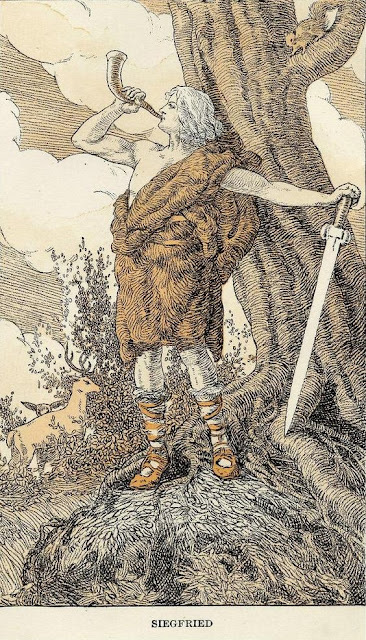 Rhinegold: The origins of this material, and its uses, can be found in the epic High-German poem The Songs of the Nibelungs (Nibelungenlied) as well as Richard Wagner's The Ring of the Nibelung (Der Ring des Nibelungen). While each piece has its own version of Rhinegold, a synthesis of the two versions was used to create the abilities found here. In Songs of the Nibelungs, the Rhinegold takes the form of a dragon's (Fafnir) treasure that was taken after Fafnir was slew by a hero named Sigurd. 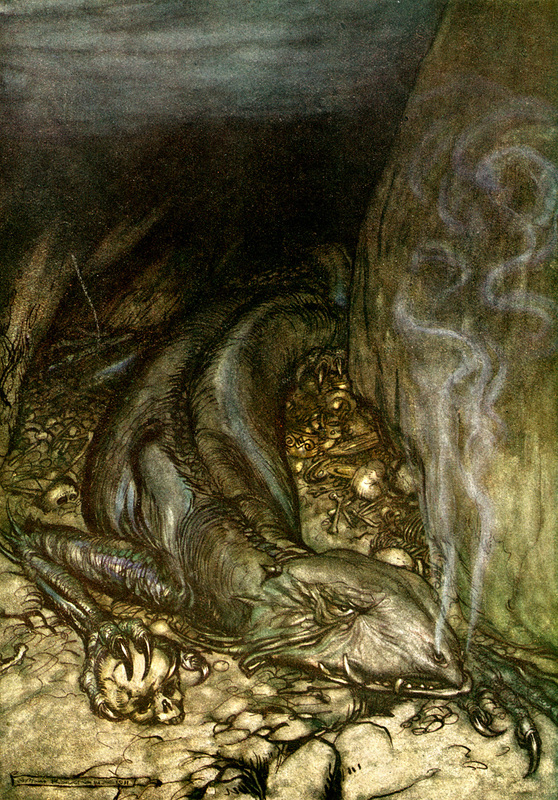 With his dying breathe, Fafnir pronounced that anyone who possessed his gold was fated to die, to which Sigurd replied that all men are fated to die, no matter what their actions may be. In The Ring of the Nibelung the Rhinegold is a powerful substance, that if formed into a ring, would allow a person to rule the world if they renounce love. This concept was used by J.R.R. Tolkien to create his One Ring. The Rhinegold was stolen from its protectors, the Rhine Maidens, by a Nibelung dwarf named Alberich after the maidens spurned his romantic advances. In-Game/Fantasy Explanation: There are only three places within the world that Rhinegold may be found reliably. At the depths of a near-mythical river called Rijin by those who live near it. Protected by three water nymphs, there is a supply that replenishes itself over the ages. Those foolish enough to attempt to steal this Rhinegold should be warned that these are not the amorous nymphs described in bawdy tavern tales, for though they do have a pleasing form, they have teeth like sharks and wield magic that would put a grand magus to shame. Rhinegold may also be stolen from the Eternal Dragon Fafnir, who makes the substance in the form of gallstones. While there have been those who have thought themselves crafty by offering to remove the gallstones peaceably from the dragon, since they cause him pain, these crafty individuals all met the same fate. Fafnir is insane due to the fact that he has been murdered and painfully resurrected for untold ages, the deaths at the hands of legendary 'heroes', the painful resurrection from a curse given to him by a long forgotten deity. Fortunately for the world, Fafnir only finds peace in his dreams, and would sleep forever, not needing to eat. The final place to find Rhinegold is within the Alebrich mines of the Nibelung dwarves. 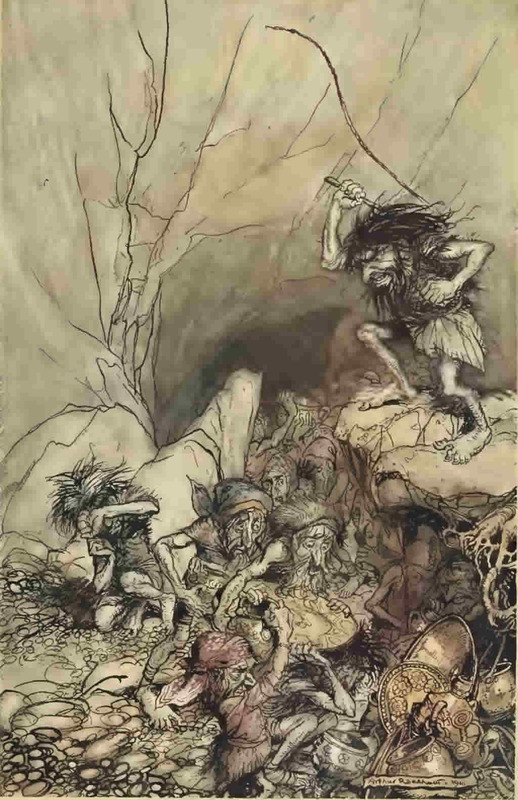 Out of the three sources, the Nibelung dwarves are the most willing to make deals in exchange for the Rhinegold. Be forewarned, the dwarves often demand a near impossible task to be completed or a king's ransom for but a handful of Rhinegold. Those that attempt to steal the gold for themselves will find a hard battle ahead facing the Nibelung Lode Priests. Rhinegold Sword: Rhinegold is stronger than steel, and can hold an edge as sharp as obsidian (Obsidian Scalpels can be 500 times sharper than steel scalpels with an edge only 3 nanometers thick). The sharpness of these weapons make them incredibly deadly on the battlefield, since they are even able to cut through steel and iron. These weapons are despised by dragons, since the material is a bane to their flesh. Game Mechanics: Any weapon made of Rhinegold has its critical range increased by 1, generally allowing for a critical to occur on a natural 19 or 20. Armor Classes are considered 3 worse when using a Rhinegold Sword. Rhinegold Swords ignore the first 5 points of Damage Reduction of objects or creatures. Finally, Rhinegold swords do an extra 5 points of damage to dragons with each successful hit. Drawbacks: No matter where the Rhinegold came from, the wielder will be the prime target of any dragon in combat. In non-combat situations, the dragon will treat the individual carrying the sword rudely. The ring from Wagner's opera was the inspiration for the Rhinegold Ring. 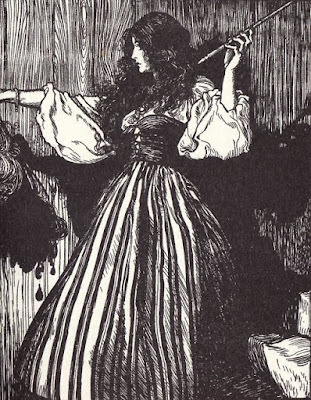 Art by A. Rackham. Rhinegold Ring: While legends claim that a Rhinegold ring would allow someone to rule the world, such claims exaggerate such powers. A ring of Rhinegold grants the wearer the bearing of a King or Queen, no matter their appearance or state of dress. Townsfolk will bow, knights will salute, and soldiers will make way for the wearer and not know why. Other rulers accord the wearer with greater respect than would normally called for, perhaps even going so far as treating the wearer as an equal. Many armies have been raised and many kingdoms have be founded by dangerous transient wearing a Rhinegold Ring. Game Mechanics: Firstly, wearing a Rhinegold ring grants the wearer a +4 bonus to Charisma, which may take them over the nature 18 limit. Secondly, those who wear the ring are always assumed to be some kind of visiting ruler by those they encounter. Finally, those who swear fealty to the wearer by kissing the ring are granted a moral rating of 17. This rating lasts as long as the wearer continues to possess the ring, the wearer honors their promises made to those who swear fealty to them, and the swearer remains loyal to the wearer of the ring. Drawbacks: Keep in mind being considered a King/Queen is not a perfect advantage, since it becomes nearly impossible to move around a crowd without drawing attention, a paranoid ruler may see the wearer is a possible usurper to their throne, or unscrupulous bandits may attempt to capture the wearer to ransom them. Dragons naturally know the scent and sight of Rhinegold, and have instinctual knowledge of how each piece is gained. If the Rhinegold used to create the ring was taken from the body of Fafnir, the wearer will be the prime target of the dragon in combat. 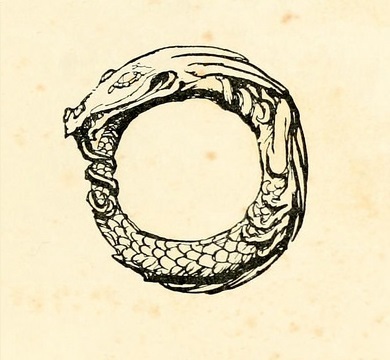 In non-combat situations, the dragon will treat the individual wearing the ring rudely. Rhinegold Talisman: These talismans are said to allow the wearer to know the hearts of those around them. Wearers of the talisman are also shielded from emotions that might darken the heart or cause it to quail. Such pieces are valued by those who delve the darkest places of the world, and seek kill those things which abide there. Game Mechanics: The talisman allows the individual to perfectly understand the intentions and general feelings others have for them. This knowledge and understanding is limited to general knowledge, such as 'This one wants to help me.' or 'This one hates me', the knowledge come more as a strong hunch rather than a definite statement. It does not grant the ability to understand the intentions others might have for anyone else, though it does not impede the any ability the wearer might have to determine such intentions. Finally, the talisman protects the wearer from feelings of fear, making them immune to any form of intimidation or any ability as well as spell that causes fear in the wearer (e.g. a dragon's fear effect). Drawbacks: The largest drawback from this item is the disenchantment it causes in the wearer. Without social niceties to hide behind, the true nature of people is revealed, and few are heartened by what they see. The second drawback is the lack of fear the talisman causes, meaning that the wearer is more likely to engage in risky actions and behaviors. Finally, dragons naturally know the scent and sight of Rhinegold, and have instinctual knowledge of how each piece is gained. If the Rhinegold used to create the talisman was taken from the body of Fafnir, the wearer will be the prime target of the dragon in combat. In non-combat situations, the dragon will treat the individual wearing the talisman rudely. Rhinegold Virge: Rhinegold is a magical substance as much as it is a physical substance. Rhinegold acts as a focus for magic, strengthening the power that flows through it. To those who are unskilled in the ways of divine or arcane magic, the virge is useless to them. When magic is channeled through it, the virge will glow with a light similar to the sun. Game Mechanics: The virge grants a number of varying bonuses depending on what type of spell being cast through them. Damage/Healing Spells: The virge grants a bonus equal to the caster's stat modifier (Wisdom for Divine and Intelligence for arcane) to the total damage healed or caused. Bonuses and Miscellaneous Effects: The virge increases all bonuses granted from spells by +1, as well as spells that grant protection such as Shield or Magic Vestments. Drawbacks: To properly use the virge, the caster must focus most of their attention and energy. In game terms it means that on the round that the caster uses the virge, they may not move, though they may defend themselves. If the caster wishes to move and cast a spell, they must roll beneath their Wisdom (Divine) or Intelligence (Arcane) using 1D20. If they fail their roll, the caster is unable to focus the spell through the virge, not gaining the bonuses it grants.